We stock a wide range of foods for your pet, whether you have cats and dogs or ferrets and wild birds. We don't charge for our swift delivery service, so you can have pet food delivered to your doorstep without any extra cost. We deliver free direct to you throughout Cumbria and the South of Scotland, providing fast delivery and great prices. 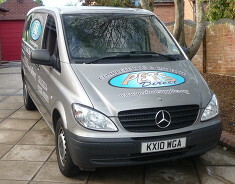 Competitively priced and convenient pet food solutions in Carlisle. Pets Direct was established over 20 years ago (1995) and specialise in Own Label Dog Foods including Hypo-allergenic and Wheat Gluten Free Ranges. We have a FREE DELIVERY service in and around the Carlisle area. As well as the dog food ranges we also supply Cat Food and Litters, Dog Biscuit Treats, Wild Bird Foods & Ferret Food.